Arrow Real Estate sells property in Ennis, Montana. 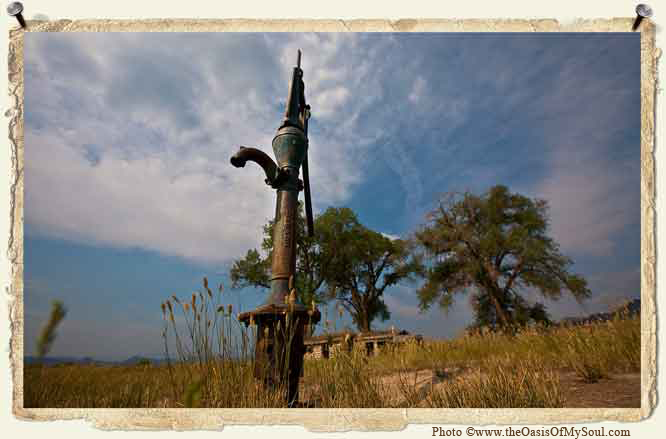 DRILLING WELLS.Be advised that in most places in Montana you have to drill a well for water if you’re in the country. Who to Contact: Water Rights Bureau of the DNRC, Bozeman, 586-3136 or a local well driller. Record the water rights on your well with the DNRC. WATER RIGHTS. You must have a permit before diverting, withdrawing, impounding or distributing any surface water. Who to Contact: Water Rights Bureau of the DNRC, Bozeman, 586-3136. PROTECTION OF STREAMBEDS AND BANKS. You must have a permit before doing any activity that modifies the stream channel or stream banks. Who to Contact: Madison County Conservation District, Ennis, 682-4602. WATER QUALITY PROTECTION. You are responsible for preventing livestock manure, pesticides, sediment and other pollutants from reaching waterways. Who to Contact: Water Quality Bureau of the Department of Health and Environmental Sciences (DHES), Helena. Phone 444-2406. FLOOD PLAIN PROTECTION. You must have a permit before doing any construction work in an area that would be inundated in a 100-year flood. Who to Contact: Madison County Sanitarian, Virginia City, 843-4275. WETLANDS PROTECTION. You must have a permit to fill, drain, or dredge any waters of the U.S., including wetlands. Who to Contact: U.S. Army Corps of Engineers, Helena, 444-6670, Water Quality Bureau of the DHES, Helena, 444-2406. STOCKING FISH IN YOUR POND. You need a permit to stock any species of fish in a private pond. Who to Contact: Montana Dept. of Fish, Wildlife and Parks, Helena, 444-2449. BURNING TRASH. Madison County determines the best time of year for open burning. Who to Contact: Madison Valley Rural Fire Department, Ennis, 682-3311. CONTROL OF NOXIOUS WEEDS. All counties in Montana have laws requiring you to control noxious weeds and file a Weed Plan with the local office. Who to Contact: Madison County Weed Supervisor, Virginia City, 843-5594. SEPTIC SYSTEMS. Montana requires a septic permit when building within the county. Who to Contact: Madison County Sanitarian, Virginia City, 843-4275. CITY ZONING AND PERMITS: Before building, contact the town of Ennis for all permits and fees. Who to Contact: Town of Ennis, 682-4287. COUNTY PERMITS: Before building, contact the Madison County planning office to obtain a construction permit and septic permit. There is no county zoning. Who to Contact: County Sanitarian, Ralph Hamler, Virginia City, 843-4275. ADDRESSES: Before construction you will need to obtain an official street address. Who to Contact: County Planning Office, Virginia City, 843-5250. MINERAL RIGHTS. Mineral rights in Montana are very fragmented and difficult to ascertain. A title company can do a mineral right search for a fee. Who to Contact: A Montana attorney specializing in mineral rights or a local title company. SUBDIVISIONS: Subdivisions in this area, and generally statewide, are ranches or large parcels of land which have been divided into smaller tracts. Parcels less than 160 acres must go through a county and state review process for approval. There are almost no small parcels which are not in a subdivision. CONSERVATION EASEMENTS: A conservation easement is one way to keep more open space and keep Montana a great place to live. Donors may be entitled to a reduction in taxes. Who to Contact: The Nature Conservancy of Montana, Helena, 443-0303, The Montana Land Reliance, Helena, 443-7027, Montana Fish Wildlife and Parks, Helena, 444-6759. And hire a good land use attorney to advise and protect your interests. SAVING THE RANCHES: The Madison Valley Ranchlands Group (MVRG) is working with ranchers and other Madison Valley property owners to keep the ranching way of life viable by protecting open space for productive agriculture, wildlife habitat, recreation and water shed management. SAVING THE RIVER: The Madison River Foundation is an advocate for the Madison watershed. They work to preserve, protect and enhance this valuable resource.